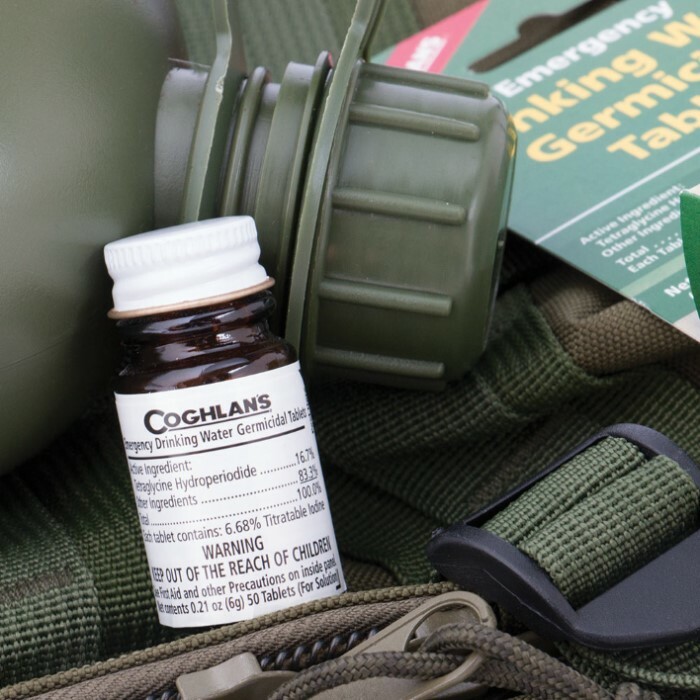 Coghlan’s Germicidal Drinking Water Tablets | BUDK.com - Knives & Swords At The Lowest Prices! 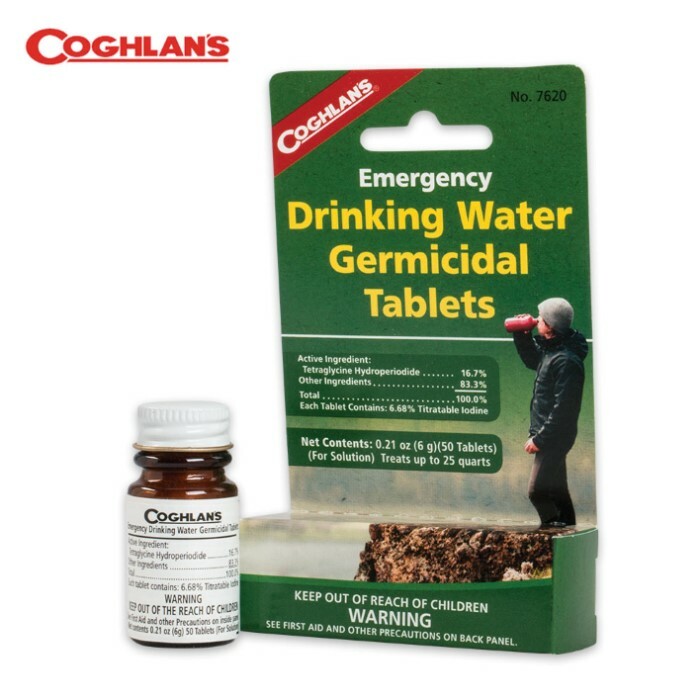 These Emergency Drinking Water Germicidal Tablets are intended for emergency disinfection of drinking water. 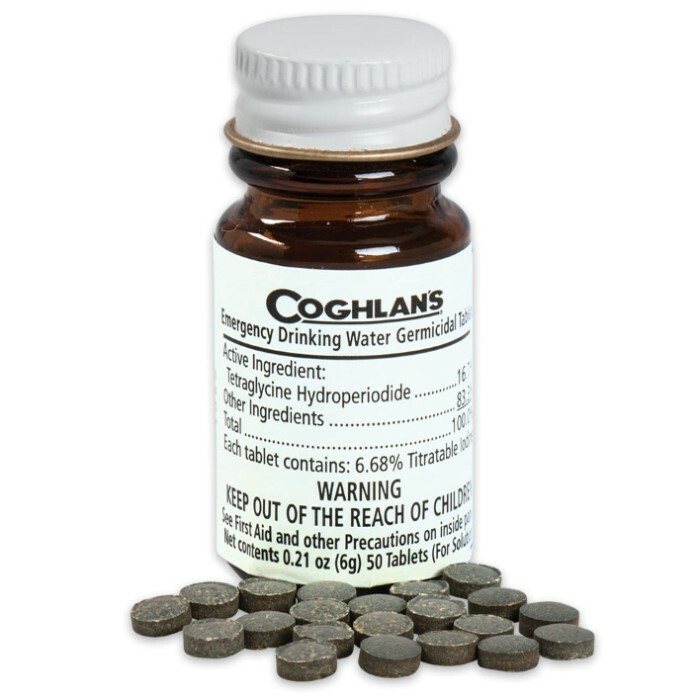 When used as directed, they make most water bacteriologically suitable for drinking. Not to be used on a continuous basis. For short term or limited emergency use only. Treats up to 25 quarts.